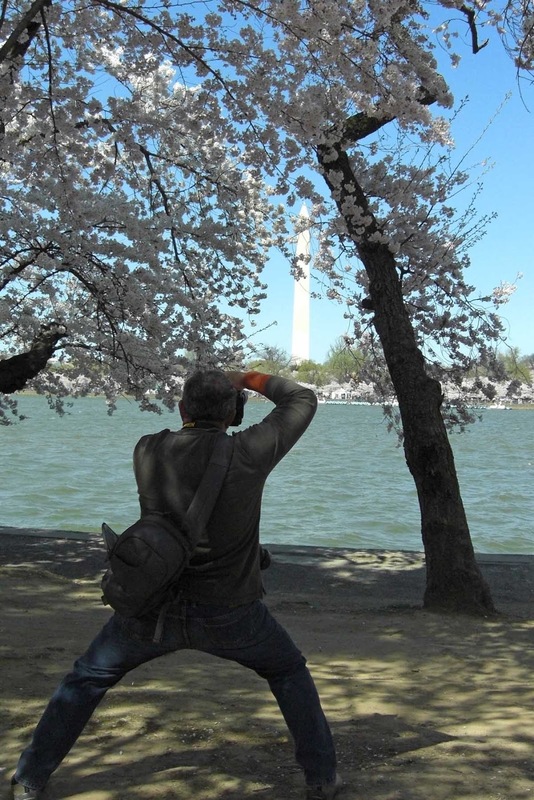 The people who take photos during cherry blossom season fall into two distinct categories: those wielding cell phones and those loaded down with big cameras with heavy lenses. The phone-wielders tend to be more interested in taking selfies than actually looking at the cherry blossoms I like to follow the big-camera guys. It’s fun to watch them check out every blossom-laden branch. They are happiest when a memorial or monument is perfectly framed in artistically drooping branches. Here’s to the folks who are keeping the camera shops in business. May all their photographs be in focus.